As mentioned before, we currently have a paid influencer arrangement with Home Depot, where they send over a pre-selected assortment of tools for review consideration. It has been a great program so far, with regard to the exposure I’ve gotten to some tools that might not have otherwise crossed my radar. 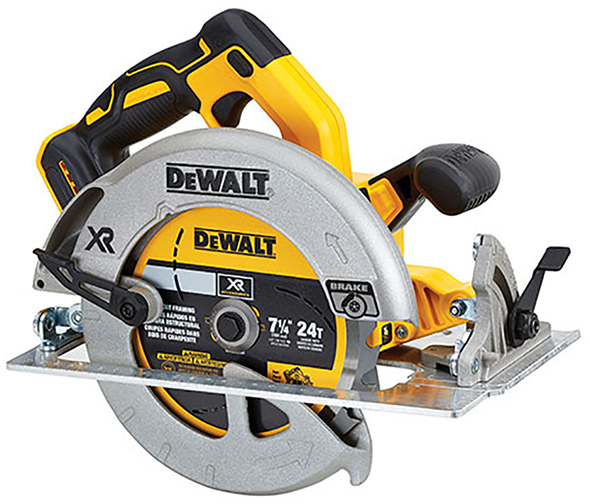 One of the items that arrived recently was a Dewalt FlexVolt circular saw kit. This confused me a little bit. Hadn’t I reviewed this before? No – I believe they sent over the also-excellent 20V Max brushless circular saw. 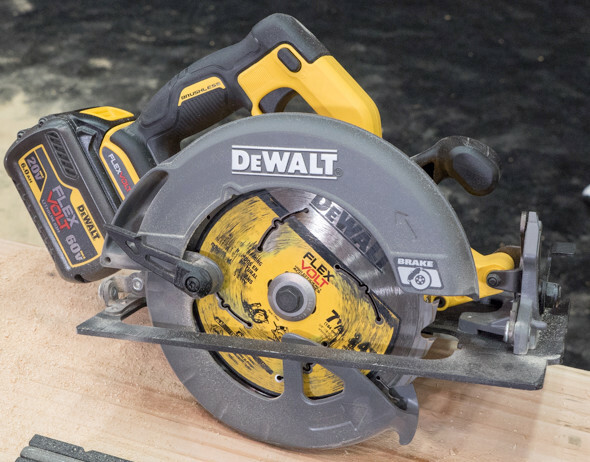 I tested Dewalt’s 60V Max FlexVolt brushless circular saw before, and it’s a very nice saw, one I would struggle to find anything to complain about. Okay, I thought, maybe I can test this one also? How would that work? I left it alone for a little bit before I realized something – this wasn’t just a circular saw kit, it was a special Home Depot bundle. This bundle, DCS575T1PI, looks to be based on the standard DCS575T1 Kit, which retails for $299, but gives you a DCF887 brushless impact driver AND a compact 2.0Ah battery pack to power it with. 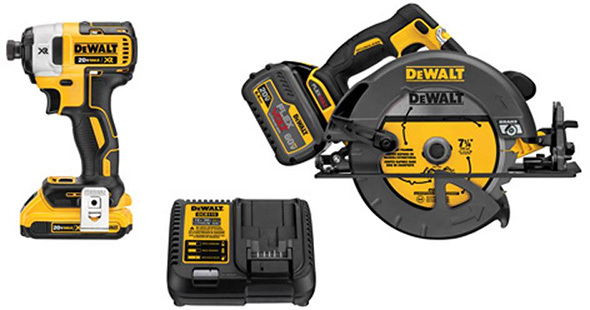 So, you get the circular saw, a charger, the 3-speed impact driver, a compact battery pack, and a FlexVolt battery pack. Looking closer, it seems that you get a standard 20V Max charger (which recharges both 20V Max and 60V Max battery packs), instead of the faster charger that’s bundled with other FlexVolt kits. 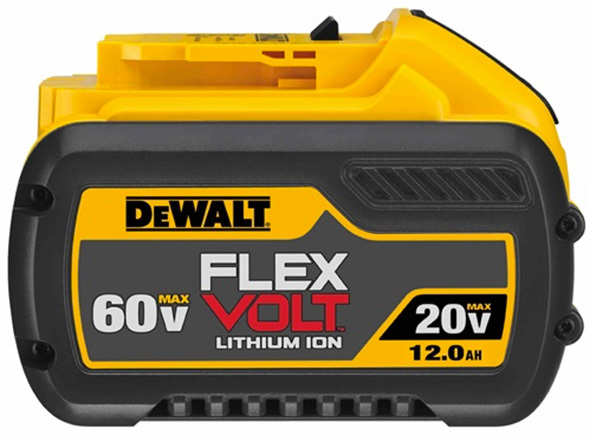 To me, that seems like a worthy tradeoff – having to deal with slightly longer charging times of the FlexVolt battery pack for the added premium compact brushless impact driver, and a separate compact battery to power it with. This is a HOT DEAL if you ask me. Thank you to Home Depot for providing the review sample. Since I already have samples of both, and can already recommend these tools, I passed this one along to someone that’s redoing their kitchen, and will follow up to get their feedback. « Will Lowes Replace Kobalt Tools with Craftsman Products? Any thoughts on the FlexVolt 7 1/4 circular saw compared to Milwaukee’s M18 Fuel (2732)? For crosscuts in kd stock both are equal. Cutting engineered lumber or pt stock ,the flexvolt has more power. Ripping ply no comparison, flexvolt…. 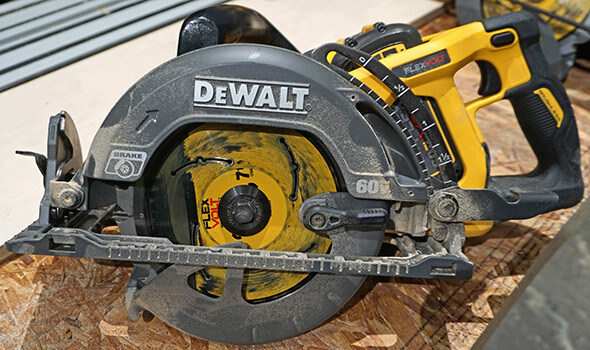 a lot of revews say this saw has the torque and cut power of a worm drive – which I think lead to the other dewalt flexvolt circ saw being released. I’m sure interested. I mean ideally I really only need the saw and battery but I’ll take the kit and sell my 895 impactor. Tempting, very tempting. That said, for my usage I think the 20V Max brushless circular saw might be nicer to have so all the batteries work with everything. That’s the beauty of the flexvolt batteries…they do work with everything. the flexvolt battery works with everything too though. You’ll see other picks of the impact driver or a drill sitting on a flexvolt battery. That’s it’s purpose to trade between high draw use and 20V equipment too. I realize that, but I mean more that I will have one device that can’t use all my 20V batteries (the saw) and I don’t know if I want to deal with that. This is a good deal, even compared to buying the 20V pieces separately for instance, it’s just I basically wind up having to support two battery systems and I’m not sure I want to go there right now. Plus there is a 7 1/4 inch 20v saw that is quite nice. I know, I’ve been eyeing the brushless one. I have it it’s great. I prefer blade right as it’s all I grew up using. And the bigger blades have more variety and can be found cheaper. At this point in the game, I haven’t used circular saws a lot, but the few I’ve used were blade right. I don’t have an opinion one way or the other on that matter. Did some looking in to that recently and that seems to be a holy war like Ford vs Chevy and I did not come away with any particularly strong conclusions. Is the saw is flex only or can you run it with a regular 20v battery? I think it’s flex only, which is what gives me pause. Like Milwaukee HD tools require the 12ah battery, … technically you can use a 5ah Milwaukee battery,But it won’t work properly…. I know it is not the same saw but recently I saw a video of Wranglerstar on YouTube comparing the FlexVolt rear handle/worm drive style saw vs a regular corded Skilsaw Mag 77. It was astounding. Each saw ran a rip up and down the same plank and he compared times. I would say the plank was around 8-10 feet long. The Skil ran it in about 38 seconds or so. The FlexVolt did it in 23 seconds. Each saw had a similar but not identical blade. Even at that, wow. The reviewer made the point that the Skil would likely do what it does for years and years while these cordless versions will likely give up the ghost in much less time. It is convenience and portability you are after with the cordless stuff. I had kind of been cold on DeWalt the last decade or so because to put it bluntly, the drills and impacts the guys were using at my work simply would not hold up. I am not speaking of extreme abuse( oh yeah, we had those guys too) but tough everyday use. So I had not kept up with the brand. But boy, this FlexVolt stuff seems pretty impressive. Decades? That was 18v nicad batteries and tools…. nothing even close to the quality of the 20v (18v) line…. There is no flexvolt drill,impact,wrench…they just added tool connect to the same model…. Watch YouTube…even the older dewalt 996 beats the brand new Milwaukee (2804-20)..the Milwaukee heats up significantly…. 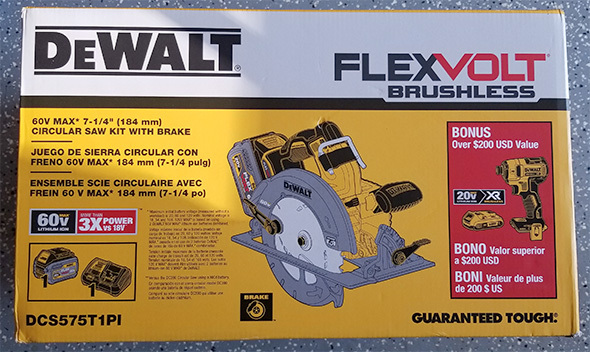 From one year to the next,one brand may be slightly better then another and next time it’s reversed..but as a entire brand noone is better then DeWalt for construction….. Milwaukee is the best for plumbing/HVAC ….Rigid, Ryobi, Porter Cable, kobalt , Craftsman are light duty homeowner grade tools…. Joe, I did not say decades. I said I said I had been cold on them for the last decade or so. This would include 20v lithium stuff from just a few years ago. The reliability was NOT good for our guys. They all bitched and complained to the bosses they wanted the Milwaukees the other guys had. Slipping clutches and janky chucks. Not every single one but plenty enough to get complaints. The honest truth is the ‘specs’ these companies release on their tools do not impress or influence too much one way or the other. A great for instance is the little Bosch 12v drill/driver line. When the brushless PS22/32/42 came out I immediately started seeing blog and forums posts around worrying about reduced inch pounds of the impact compared to the older brushed models. It is really not noticeable. I have a new PS32 brushless drill and it works better and smoother than my old boss’ PS31. Just as powerful. I don’t get too excited about any of them til I see what they do on the job. Just my opinion but DeWalt was fumbling it not that long ago. Real world, every day experience in industrial and commercial maintenance. I will never know. No more Dewalt for me. I have decided to make a change. The tools are very good and most of mine are DeWalt. I couldn’t get a response from Home Depot so they give me the super secret hot line to DeWalt. I don’t care how good your tools are, if your sales people don’t care then I will find a company that does. DeWalt is high priced crap, just an upgrade Black and Decker. The batteries are outrageously priced or you can get aftermarket replacement for way less. Just like Mercedes, overpriced and over rated.